When I rode the #BlackForest400 back in March, I was caught out by sub-zero temperatures through the nighttime section. An insulated bicycle bottle like the Elite Deboyo Ombra Stainless Steel Bike Bottle would have been the perfect solution. The issue on that particular ride was not so much that I had not expected the cold temperatures, but rather that I had failed to anticipate the closure of almost every garage and takeaway in the Ardennes on the night before Good Friday. The situation meant that I couldn't stop for a much-needed warm drink in the middle of the night. 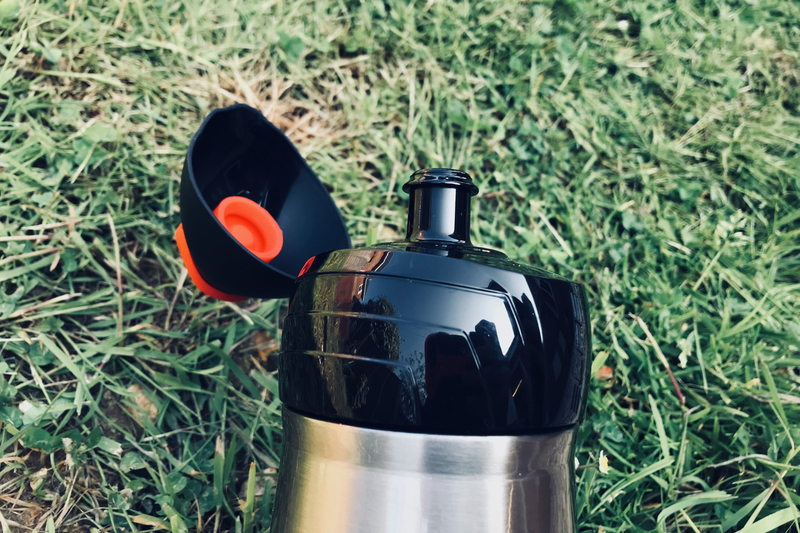 A thermal insulated vacuum bottle, like the Elite Deboyo, would have allowed me to fill up before the shops shut up, and then have a warm drink to get me through the night. The Deboyo Insulated Vacuum Bottle is also the ideal solution for very warm days. Thinking back to my climb of the Col de Montgenrve on the #7Countries7Passes, when the temperature hit 35'C on the exposed fresh tarmac of the Alpine pass; what I would have done for an ice cold drink at that moment. 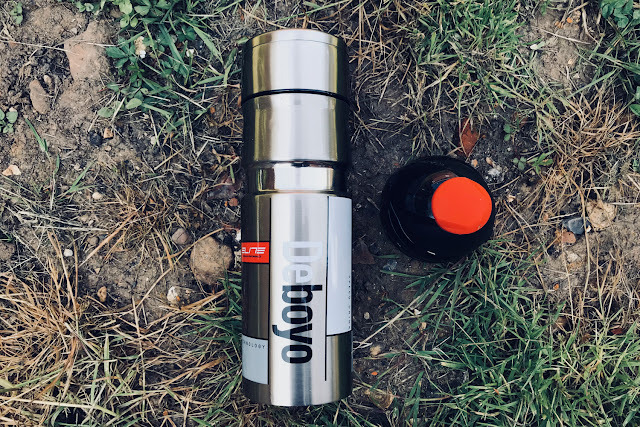 Essentially, the Elite Deboyo Ombra Insulated Stainless Steel Vacuum Bottle is a Thermos style flask, but in bicycle bottle form. It is a beautifully executed example though: tough, attractive, and faultlessly made. It can either be used with the seal-tight sports cap, or the more traditional Thermos style cup cap, if you wanted to use it as a normal flask. With either of these top caps the Deboyo seems to do a stellar job of keeping hot things hot for up to 5 hours, and cold things cold for up to 10 hours (this was the longest time I tested it to - it might go longer). The Deboyo bottle fits firmly and securely in all the bottle cages that I have tried it in; although it works best in a composite cage such as the Elite Custom Race Plus Bottle Cage, or in a metal cage that has gel grippers such as the Elite Ciussi Inox Tubular Bottle Cage; as these models prevent metal-on-metal rattles. There are not many stainless bike bottles on the market at the moment. 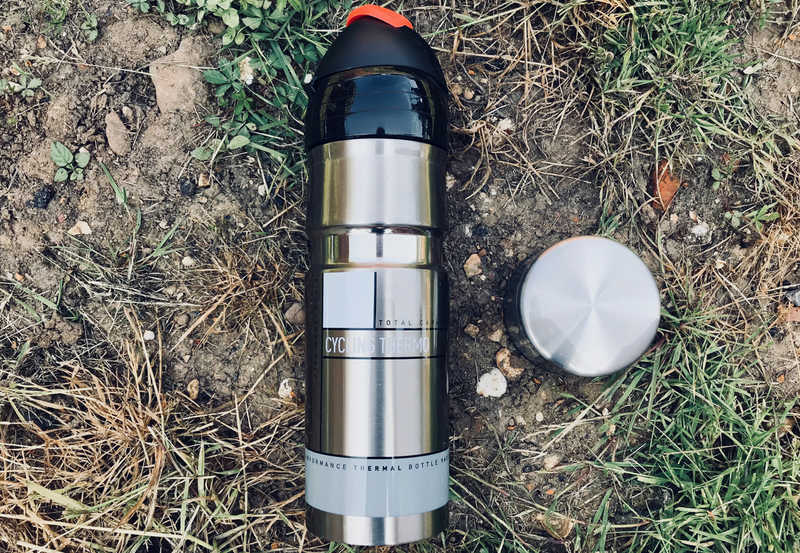 That might well change with the increasing pressure to reduce plastic usage; but I don't see that many will be able to match the Italian style and superb quality of the Elite Deboyo Ombra.